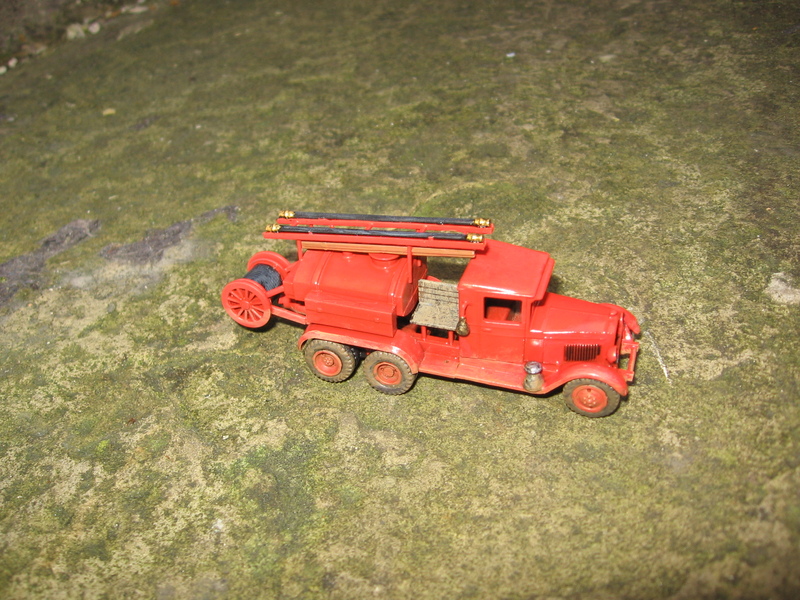 Bits and Pieces from the Shed. Once more I present a few of the highlights from the Shed. 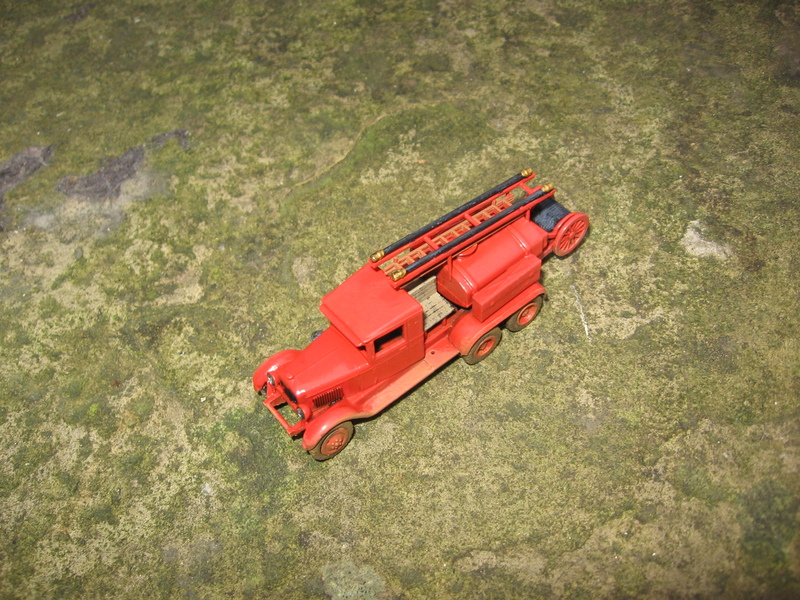 A PST Fire Engine. A rather nice kit that looks very smart in gloss red. 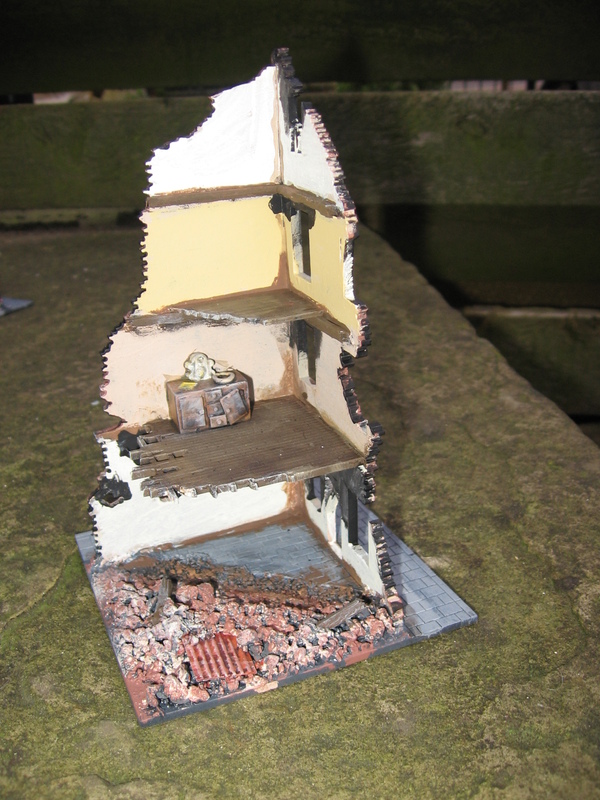 Another view- it did spawn endless League of Gentlemen references. A technical armed with a recoilless Rifle. 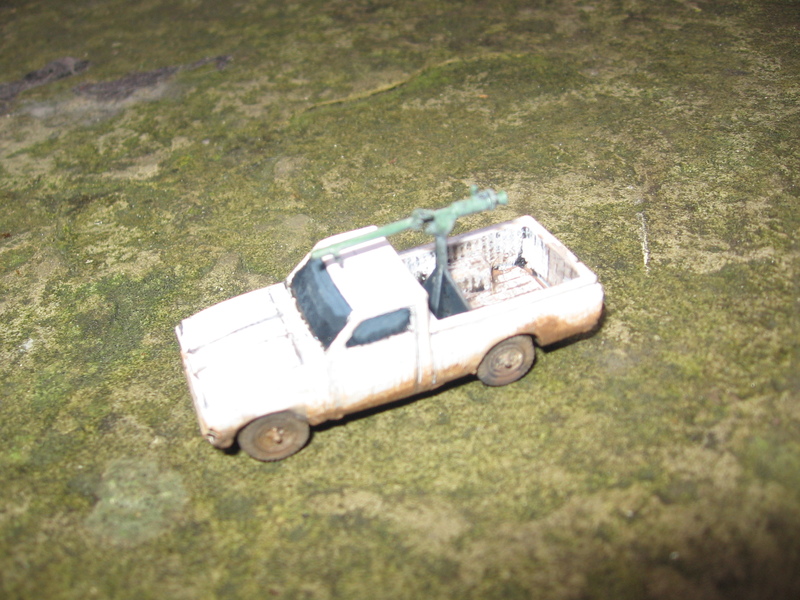 Vehicle by MJ Figures, Recoilless Rifle by Under Fire Miniatures. 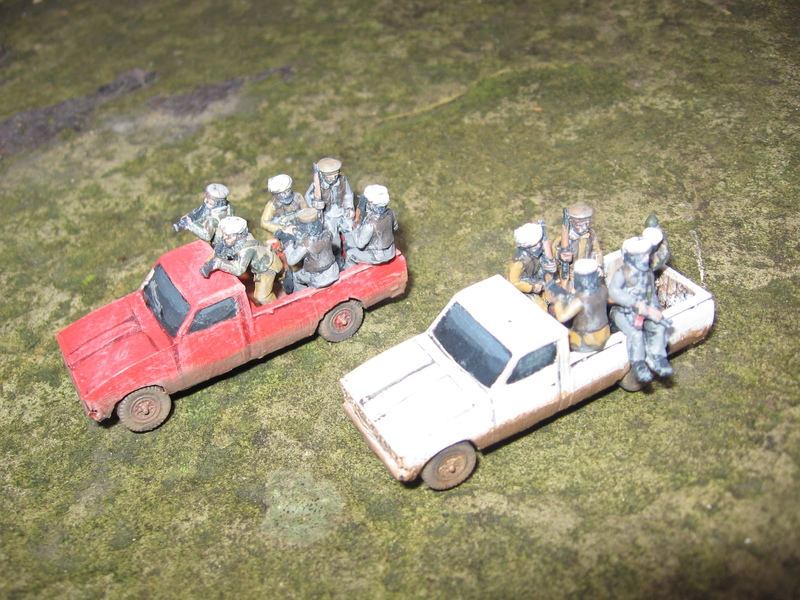 A pair of troop carrying pick ups, both vehicles and passengers by MJ figures. 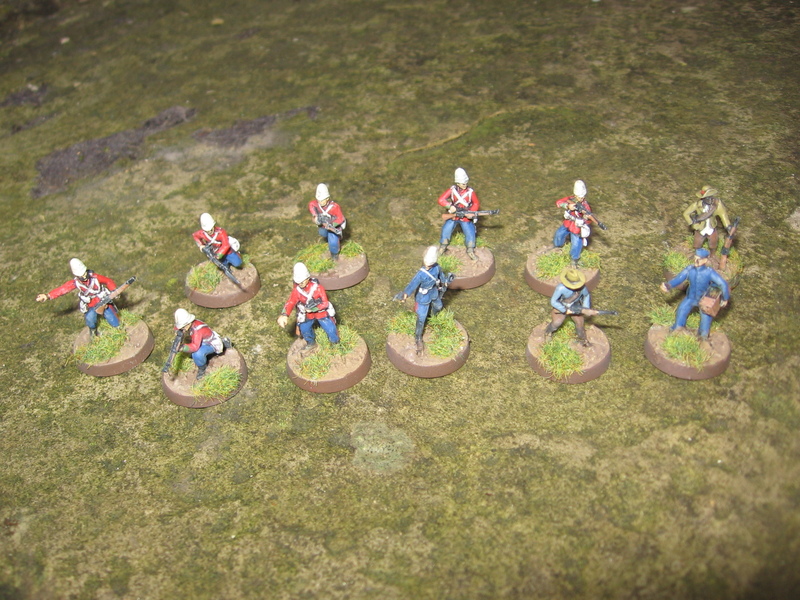 A selection of Zulu War British by CP Models. 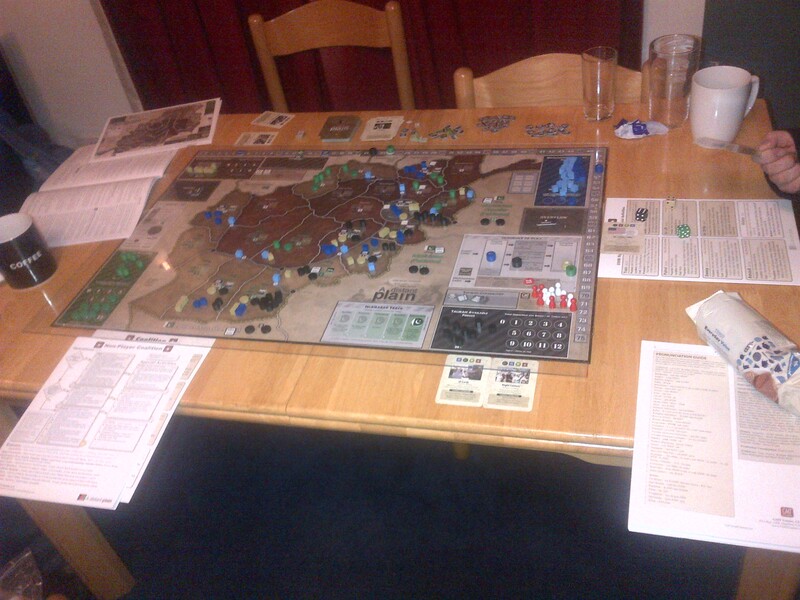 ‘A Distant Plain’- first brief play through. Last night Brian and Chris came round to give the new game a quick run through. We decided to play the “short” 2009- 2013 scenario so set up the board and deck accordingly. Unusually the first card of the deck was a Propaganda card (1 in 13 chance) which gave us all a bit of a resources boost and a bit of population control too. This resolved we moved into playing the game properly. I took the role of the Taliban, Chris the Afghan Government and Brian the Coalition, the non-aligned Warlords were run as a NPC faction by the game mechanics. The board mid game- the Taliban (me) are strong in Pakistan, bombing these bases led to unfortunate political consequences for the Coalition. Sadly we didn’t manage a full game- mostly because the set up took a while, and we chatted a bit when Bill popped by so it was getting late. Also the game is much more difficult than it’s predecessor ‘Andean Abyss’, not in terms of the game mechanics, which remain unchanged but the interplay between the factions is more entwined and labyrinthian. Hopefully next game we’ll remember to set aside more time to explore it properly (and get a fourth person to run the Warlords), I think in the long run I’ll prefer it to ‘Andean Abyss’- mainly because have much more of a background knowledge of the recent history of Afghanistan than that of Colombia and the interplay between the players is more complicated, though time will tell of course. 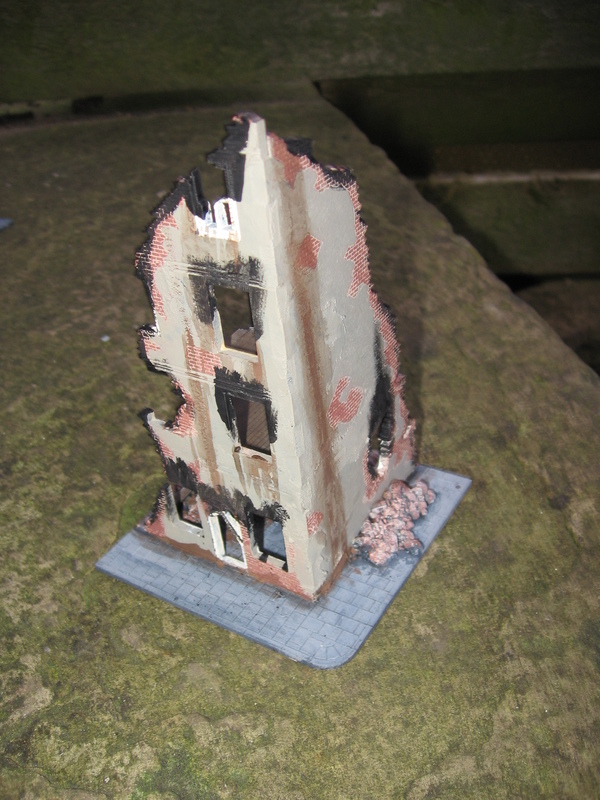 I got my finger out and finished the MDF ruins that I recently got via a Kickstarter campaign done by Commission figurines. 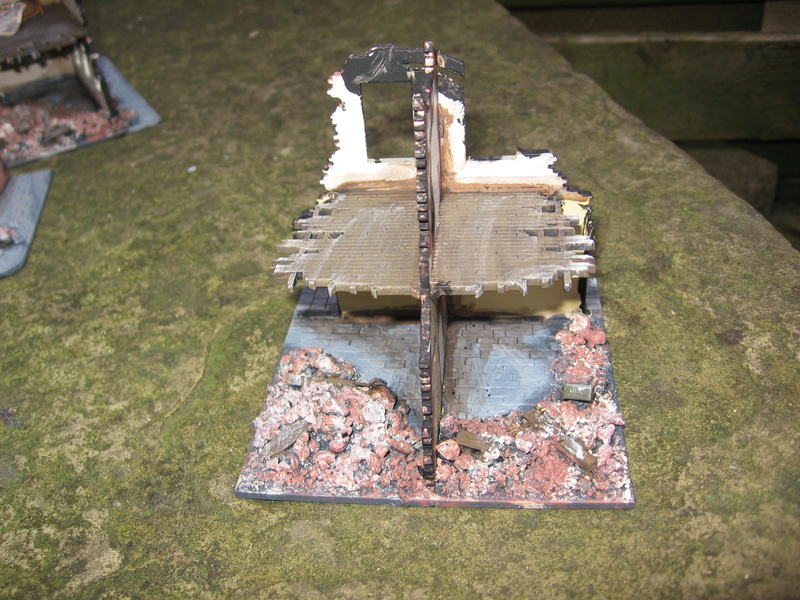 Got to say I really love them, even if the pics don’t put them in their best light (then again I would say that), I’ll probably pick up a few more modules in the new year to enable me to put together two full 6 module ruins. 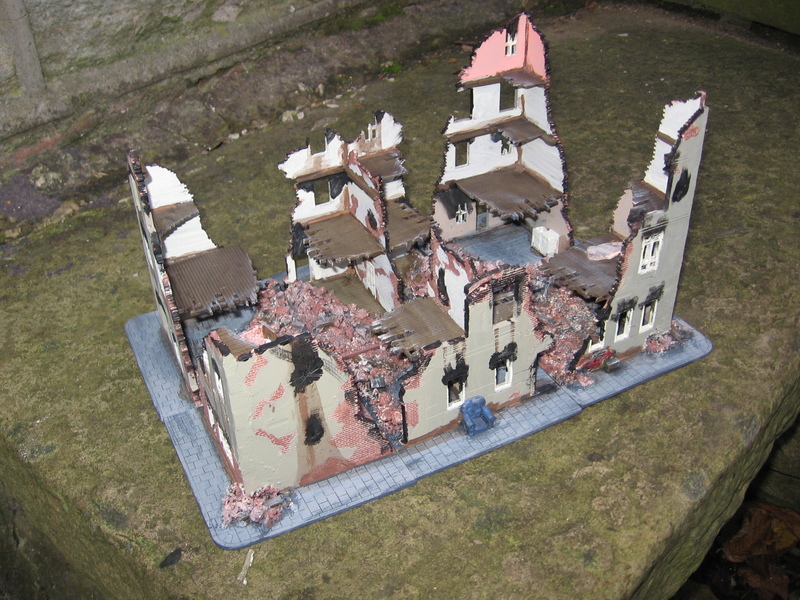 Any way on to the pics- the extra detailing came from a variety of sources plus cat litter and matchsticks. ‘A Distant Plain’ – First impressions. My favourite boardgame of last year was the superlative ‘Andean Abyss’, when I found out that the series was being expanded I was happy, when an Afghan game was announced I was very happy. 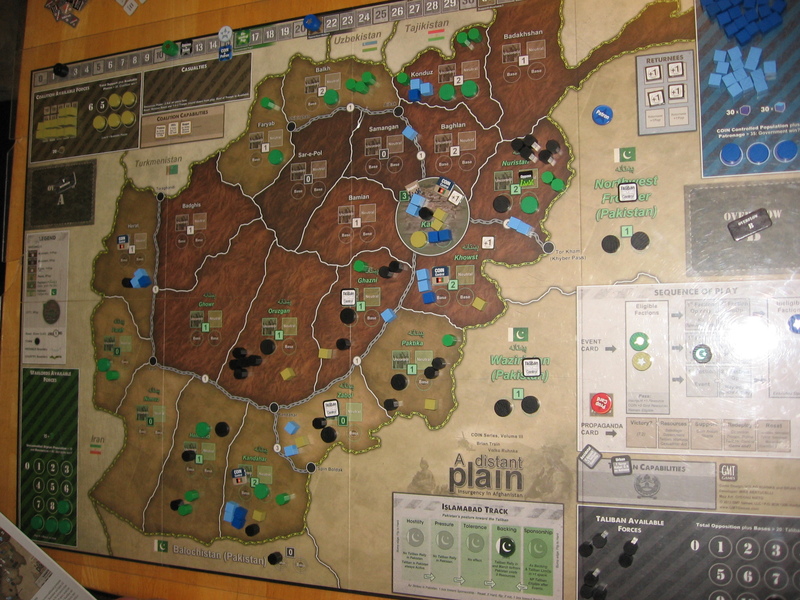 For the uninitiated ‘A Distant Plain’ is a high level game of the Afghanistan Counter- insurgency war post 2002. So think after the special forces toppled the taliban and after Operation Anaconda. What makes the game interesting to be is that it uses ‘Euro’ game mechanics (area movement not hexes, abstract unit representation, political factors, random events governed by cards) to model a conflict that most people game on the table top of with chit and hex games (talking of Operation Anaconda there is a rather nice little game of the published by the Strategy and Tactics magazine which I’ve got). The game is produced to the high standard that I have come to expect from GMT Games with quality components and extensive supporting literature. Brian and I set the game up- as seen above- and worked through the tutorial to see what had changed from ‘Andean Abyss’. 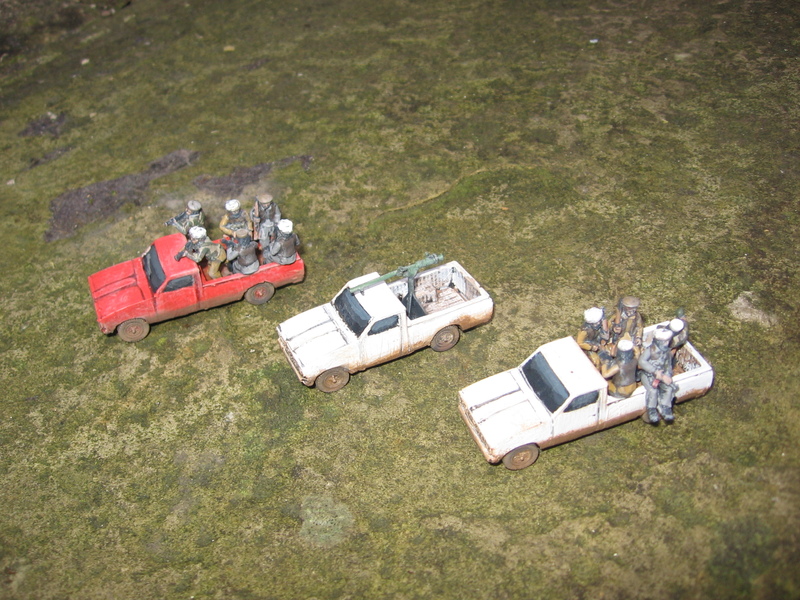 As far as we can tell the basic mechanics are the same, something that will allows us to get playing quicker; the differences lie in the subtle relationships between the four playable factions – Afghan Government, Coalition, Taliban and non- aligned Warlords (with less than four players there are sufficient rules mechanisms for those factions to be run effectively as NPCs). The beauty of the systems allows for the possibility of more than one side claiming a victory at once (although probably not the Taliban and Government) this makes for dealing, double-dealing and bribes to feature- making great fun for the gamers. 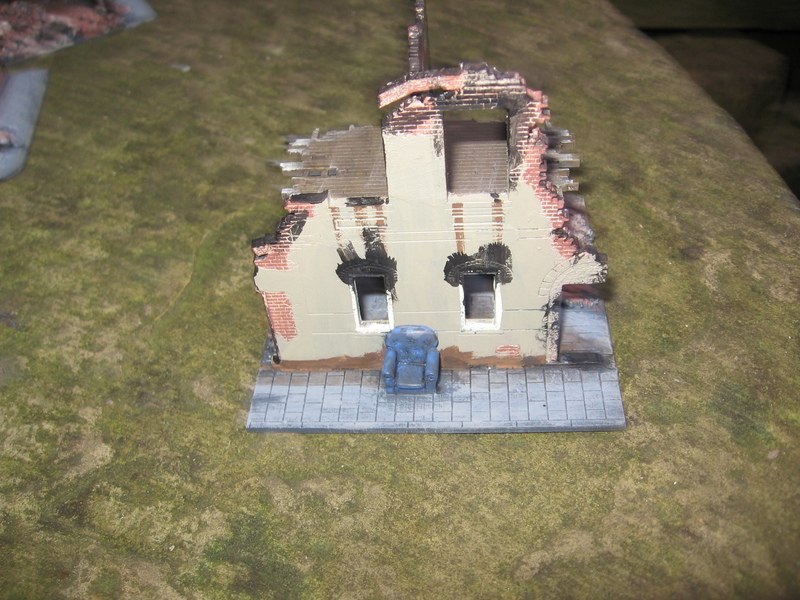 A blog post worth sharing- ethics and the skirmish game. As my friends will not doubt attest I’ve got intellectual pretensions (I’ve been reading Leviathan recently and “a Pete film” is my friends shorthand for anything that is subtitled, black and white or deeply depressing), this extends to gaming too. 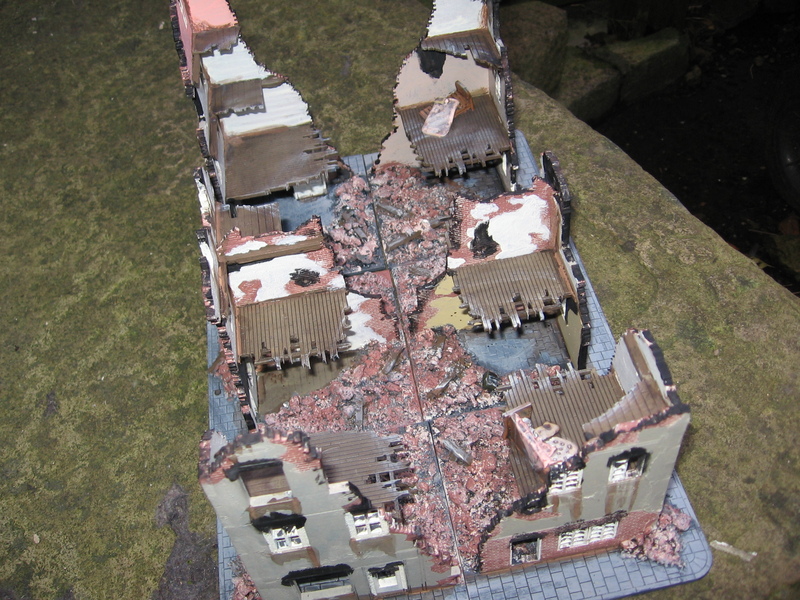 I’ve always been fascinated by other peoples attitudes to ethics in Wargaming, we are all in the final analysis making entertainment out of the deeply unpleasant. Some people have firmly held views that some events and units are simply too disagreeably to be gamed, I’ll give them the right to hold their own opinions but I rarely agree with all of them. Others like to explore the moral dilemmas that a close study of conflict brings up in so called ‘black wargames’, I’ll admit that I do fall into this camp, but bear in mind if you decide to follow to keep a sense of objectivity and the Nietzschian quote “And when you gaze long into an abyss the abyss also gazes into you” close. Anyway I could write a long winded self indulgent piece on my own views but instead I’ve decided to deffer to a recent blog post that managed to encapsulate all of the issues into a Spanish Civil War scenario in a manner far more elegant than I could mange. Not that he needs any further exposure, being that he is on the telly rather a lot.